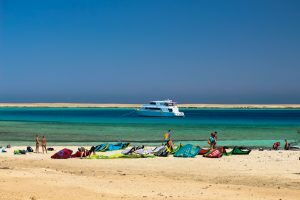 The Red Sea Kite Safari in Egypt is one of those kitesurfing trips basically every kiteboarder must experience at least once. A week on a beautiful yacht far away from civilization and noise, but surrounded by shimmering turquoise sea, dolphins and glassy lagoons. By staying on a boat we have the freedom to kitesurf wherever we want, so we can adjust to the conditions. You will have all the space on the water, as we visit deserted sandbanks in the open sea. 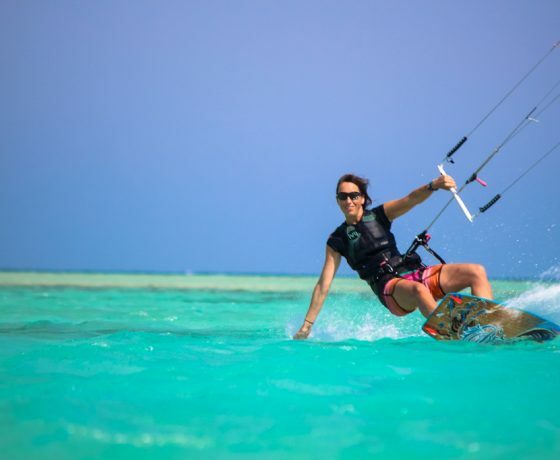 Trust us if we say this is a kiteboarding trip you have never experienced before! We are the only one that offer this trip all inclusive beer, wine and intro dive in case of no wind :). We like to pamper our guests. Aboard the yacht all meals & drinks are prepared for you, so you can completely relax. The helpful crew is always ready to assist you and give you everything needed. 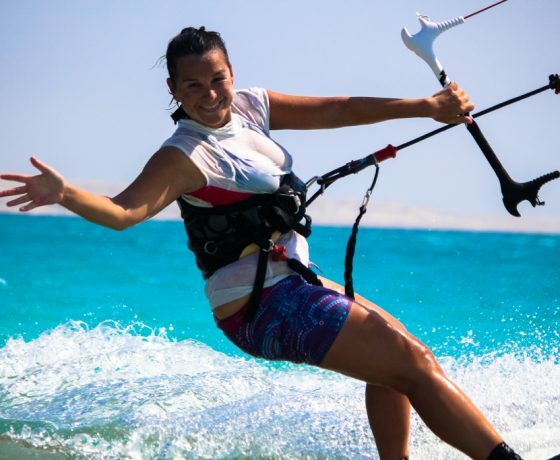 Kitesurfing instructors on board teach you new tricks and give you tips. Set your own pace and enjoy the trip with likeminded travellers while being on one of the worlds most beautiful kiteboarding destinations! Besides kitesurfing there are many other activities to do. For example, take a look at the wonderful underwater world of the Red Sea. This is one of the most beautiful places on earth for snorkeling and diving. On board we have snorkeling equipment available. Are you an advanced diver? Great! Our boat is specialized in diving gear for in between kiting sessions. 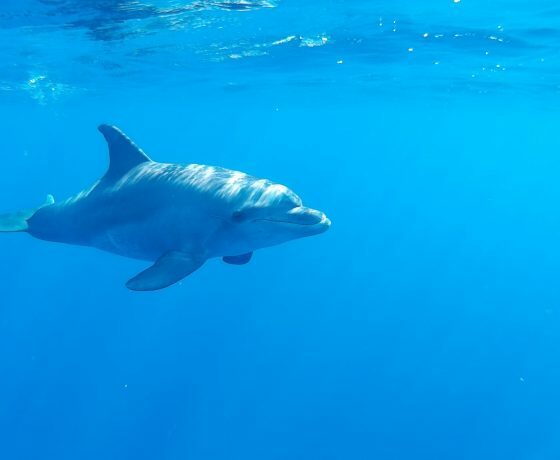 And for all that never dived, in case of no wind, we will offer you an introduction dive :) Of course we are going for some dolphin spotting as well! Male, female, boyfriend, girlfriend: everyone is welcome, as long as you are 21+. 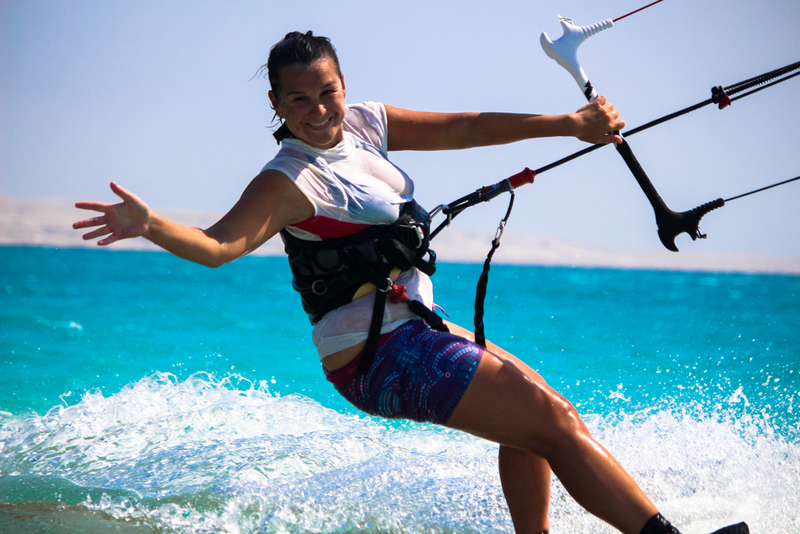 Sign up soon for this unforgettable kitesurfing adventure on the Red Sea in Egypt. We will be spending this week on a 38 meter yacht with 8 twin cabins and 4 honeymoon double cabins. All cabins are equipped with their own bathroom and airconditioned. Want to sleep under the stars or enjoy a private yoga session? No problem! There are 3 upper decks to put down your yoga mat or sink down into a fatboy. And when you wake up, coffee and tea will be ready as well as a big breakfast, so you can get ready for a full day of kitesurfing. 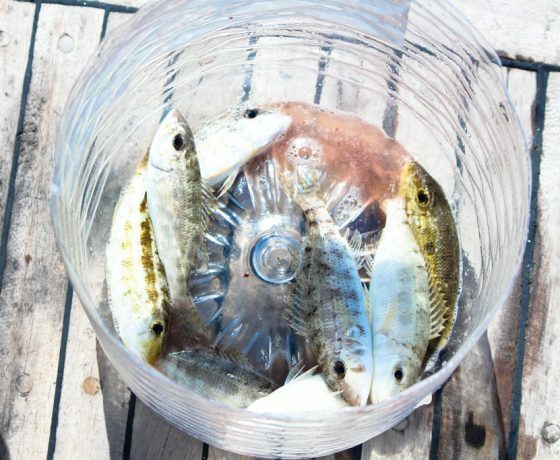 While you are out on the water, the helpful crew will be preparing all other meals. You may never want to go back to the mainland! 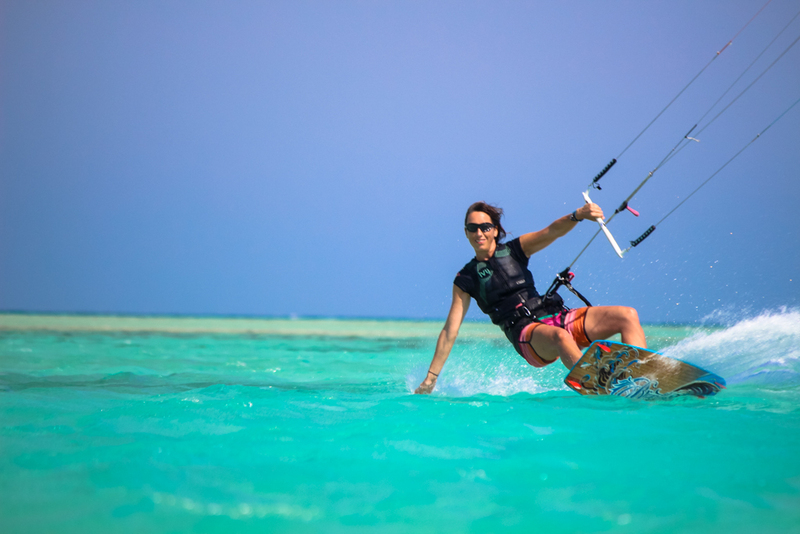 We can tell you that we will go kiteboarding at azure lagoons, pump our kites on islands with white beaches, and go exploring an underwater world you will never forget. But it is hard putting the beauty of the Red Sea into words. It is a destination you should see yourself. 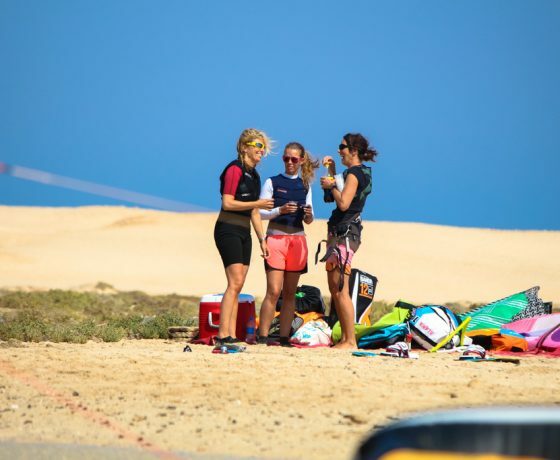 We can only hope that all of this, together with the high percentage of 70% wind guarantee (20-30 knots), is convincing enough for you to join us kiteboarding along beautiful islands! You will need to fly on Hurghada Airport. As soon as your (board) bags arrive, we will bring you to our yacht. If you need advice booking your flights, drop us a message. As soon as you arrive at Hurghada airport, you need to buy a visa $/€ 25,- . We are the only one that offer this trip all inclusive beer, wine and intro dive. We like our guests to completly relax. Although we have 24 spots available on the yacht, we will only fill up 18 of these to keep the stay aboard relaxed. 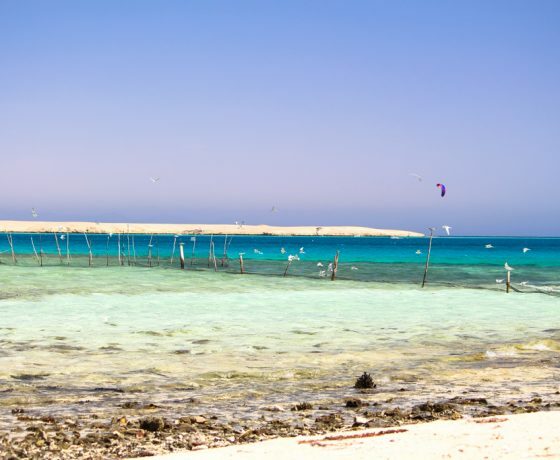 Let’s discover the Red Sea by kite and secure your spot by booking below! After welcoming you at Hurghada airport we will bring you to the boat which is moored just 25 minutes away from the Hurghada New Marina. You will meet our crew and get all the information you need for the coming week. Diner is served depending on your arrival time. Departure early in the morning, heading towards the north part of the Red Sea for our 6 day kite cruise. After a trip on sea, we arrive at the first spot for a warming up session. The adventure will begin in a huge lagoon with crystal clear and shallow water. You will find yourself jumping over the sandbar or enjoying some freestyling on the glassy water. But also enjoying a private beach away from the crowds, the cities and the coast. While our private chef prepares dinner, there will be plenty of time to view the video’s that have been taken during the day. We leave the lagoon early morning for our next destination. Along the way, we will encounter authentic coral islands with different lagoons with flat water near the shore. Outside of the coral reef it is a kitesurfing walhalla! During the kite safari you will see many different types of wildlife. 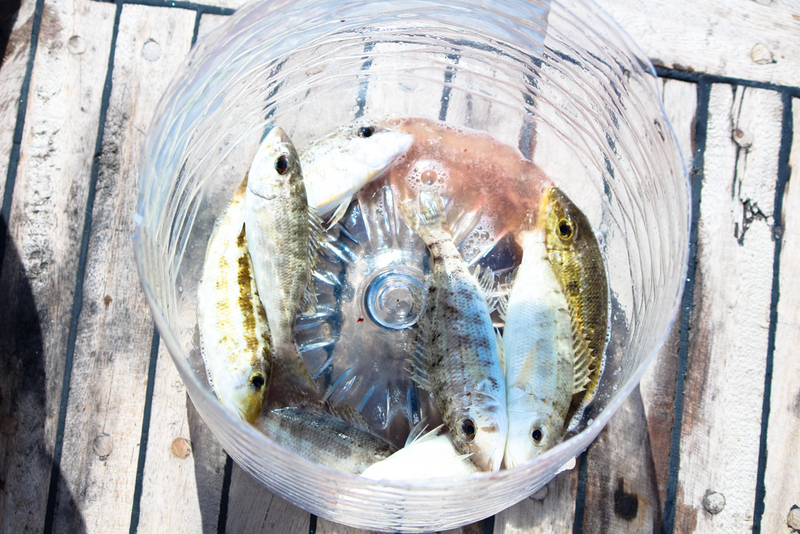 The crew will teach you how to catch squid after the sunset session. 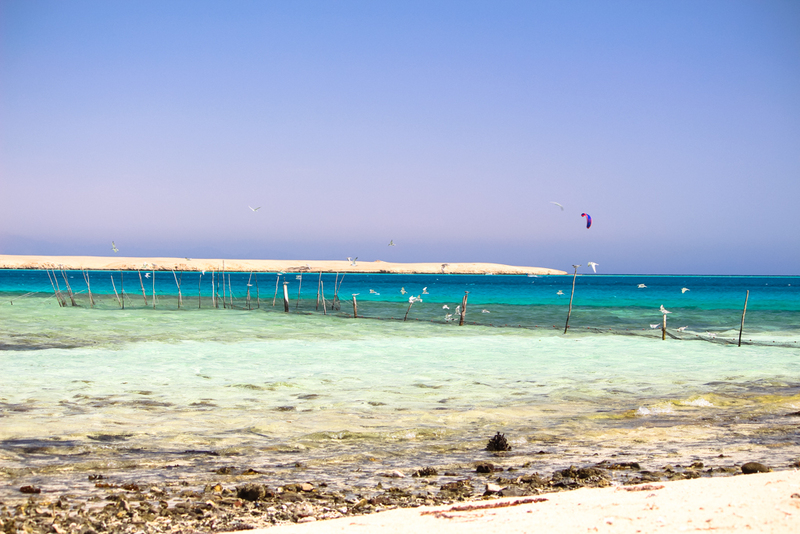 Today we leave for our ultimate and extreme kitesurfing spot! In the northern parts you will find perfect side shore wind that blows between the islands. Take a look under your kiteboard; the water here is so crystal clear that you can see dolphins swimming! This is a truly untouched area and a great place to use the kayaks and snorkeling equipment that we have on board to admire the colorful coral reefs. Without any artificial lights, the stars at night are countless. While enjoying a drink on the deck you can observe this serene setting. 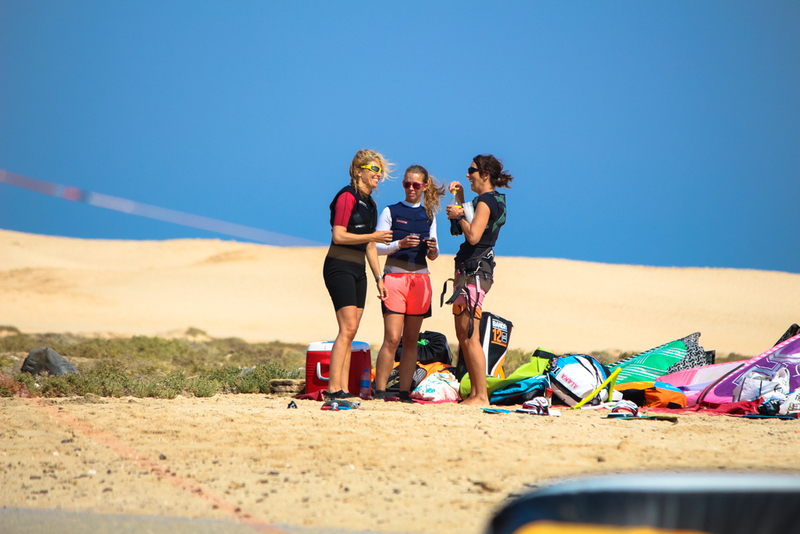 After another delicious breakfast we get ready for a 6 km long downwinder to our next spot. It is kitesurfing like you have never done before! The rescue boat follows us to ensure our safety. We start in flat water and then get (small) waves along the way. While riding the waves, you can practice on your jumps. 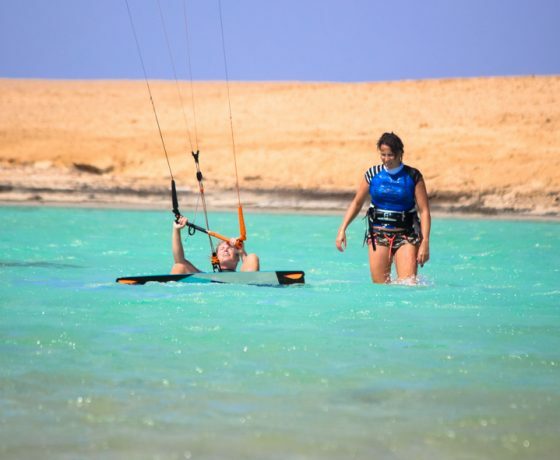 We end the kite session on the second spot, which is an area enriched with many lagoons where you can discover all sorts of wildlife and plants. Early morning we leave for our last spot, going towards an island lagoon. This particular area gives you the opportunity to kite on flat water or to go to the waves. After the session, the crew makes everyone a cozy barbecue on the beach to toast on our last day at sea. At full moon it is possible to have an evening kiteboard session! We have our last kitesurfing session in the early morning on the lagoon island and make some final snapshots. Around noon we enjoy a nice lunch before sailing back to Hurghada. Our kite can be cleaned and packed in the harbor. Do you have any energy left? In the evening we go out in the most popular beach club Hurghada knows. 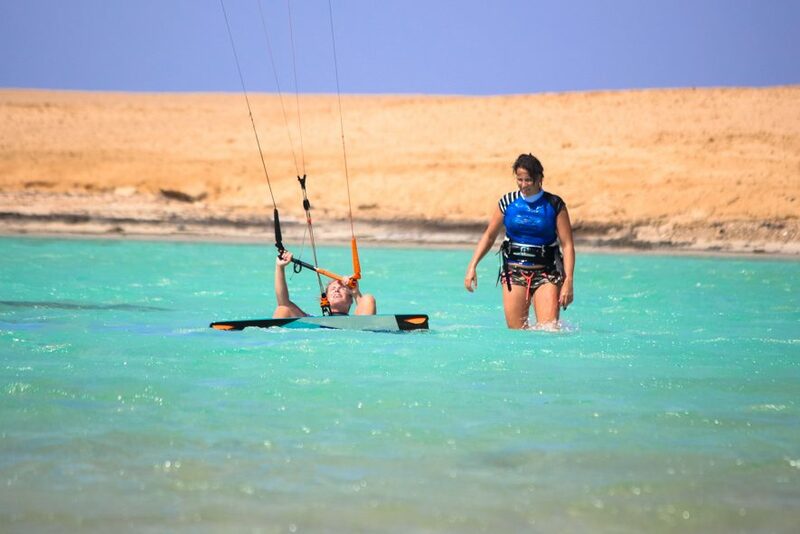 Depending on your flight schedule, we will take you to the airport or to El Gouna for a last day of kiteboarding.